Graduating from high school is a big deal to me and I am excited to celebrate it with you! 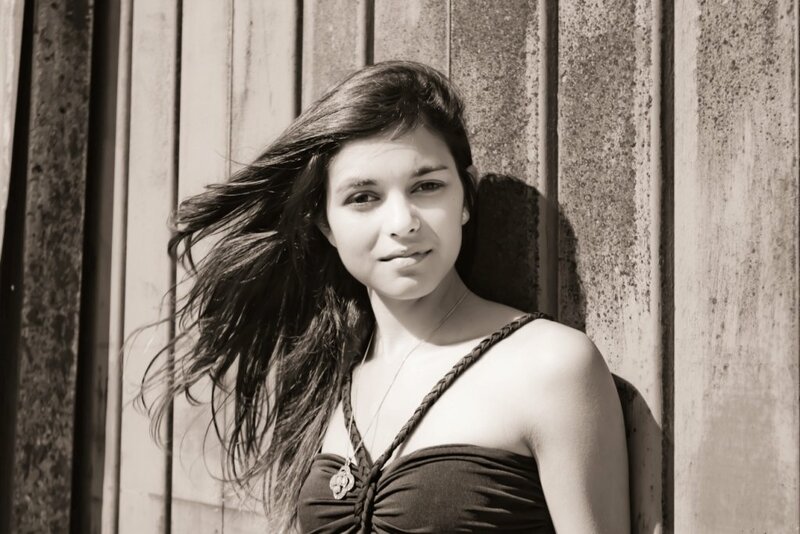 I provide cutting-edge high school graduation photography to showcase the real you! 45 min sessions allowing for 2 outfit changes are available now, call 808-989-9167 or e-mail karen@karenloudon.com to book your session today! School is out for the summer, and that means Class of 2012 – you are officially a SENIOR! It’s time to set up your portrait session – perfect for girls who love NATURE and the BEACH! I am just minutes away from some of the best spots on the Kohala Coast. Starting at only $100 for a 45min session. I keep talking about how great the weather was, but it was really lucky to have such picture perfect day. You thought the weather was always perfect in Hawaii? Go ahead and laugh, but Waimea gets downright cold in the winter! Well, relatively cold. I’ve seen it drop into the 40′s many times during the months of December through March. The chilly temperatures are accompanied by frequent wind and rain. Certain trees shed their leaves and some insects disappear until spring. You’ll even see a few people wearing fur-lined parkas, but this is certainly overboard. The first location was historic Church Row Park in Waimea, the site of the Waimea Cherry Blossom Heritage Festival, which celebrates the age-old Japanese tradition of hanami, which translates to “cherry blossom viewing party.” After a seasonal winter chill, the trees typically are blooming in February, they bloom and usually fall within a week before the leaves come out. We were a little late to capture the full cherry blossom bloom for this photo session, which took place on March 8 and the trees were barely in bloom anymore. That didn’t stop us from having some fun and taking some really great photos, including a few cherry blossoms which added a nice pink color to the background. 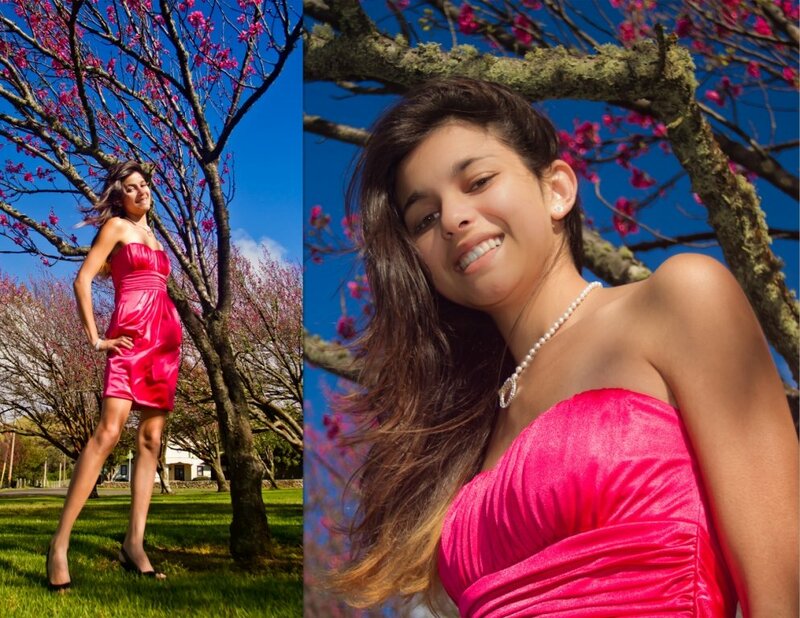 Ailani wore this beautiful pink dress, which perfectly matched the rich pink petals of the cherry blossoms. 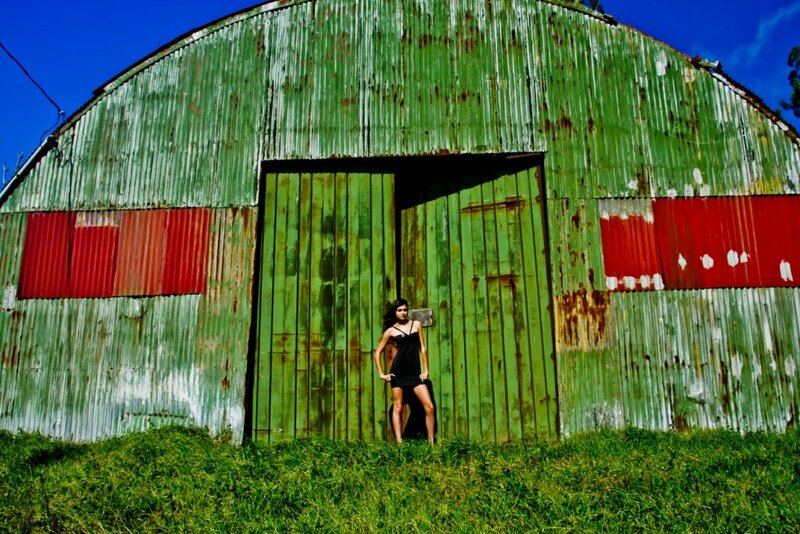 Then we has an idea to go back to this grungy old green barn we has seen on the side of the road on the way into Waimea town. It was sweet! The contrast between the barn and her outfits was awesome! 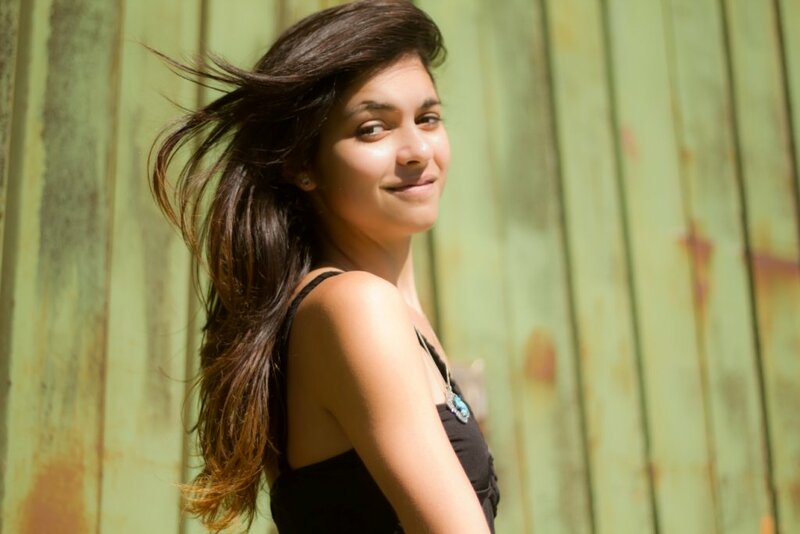 I definitely hope to do more senior portrait photography in the Waimea area. I look forward to it!